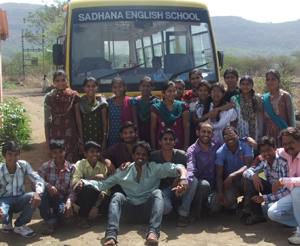 In the summer of 2012, Nikhil Sheth, a researcher on sustainability and self-designed learning, volunteered to teach at the Sadhana Village School near Pune. As part of a team of volunteers, he taught English and Computer Science to tenth standard students. During one session, he showed the first episode of Satyamev Jayate to the class. The effect was so encouraging that the video was screened again. Since then, the school’s computer lab doubled as a weekly venue for watching the show. The students even made copies of the videos and repeatedly viewed them in their free time. Episodes on issues such as female foeticide, dowry and domestic violence were most watched by the girls. The Child Sexual Abuse episode had a great impact as well. 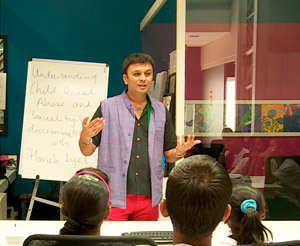 “I noticed that at least one of the girls would steal away from the group and watch glimpses of this episode on another computer, either on low volume or with headphones,” says Nikhil.